When it comes to marriage in America, things aren’t looking so great. According to the American Psychological Association, between 40% and 50% of first marriages end in divorce. And even after you get divorced, you still can’t catch a break, with second and third marriages having even higher rates (67% and 74%, respectively). These gloomy statistics back up a lot of real-world concerns when it comes to divorcing; first and foremost, what happens to your stuff? When you’re considering getting a divorce, you should definitely consult with an estate planning attorney. There are several reasons for this, as there are quite a few documents that will likely be affected by the divorce. Divorce tends to sever joint ownership, and it also makes things tricky for property ownership, guardianship, and beneficiaries of your estate—and that’s if the divorce goes smoothly. Here are some reasons why you should talk to an estate planning attorney when considering divorce. You and your spouse may have jointly owned property or assets. After your divorce, that connection is severed. Only one spouse will own the property. Take the home, for example. If you don’t want to co-own the house, the court might decide in favor of you or your spouse when considering where your house goes. The court will look to multiple factors to make this decision, such as each of your financial circumstances, contributions to the home (like additions, renovations, who uses it more), age, health, custody arrangements, and more. A judge can award the ownership of the house as part of a divorce agreement. Estate planning often concerns your house and what will happen to it after you’re gone. If you’re not going to have title to your home anymore as a result of divorce, it’s in your best interest to meet with an estate planner to reflect that change in your documents. Who’s Your Power of Attorney? Is your ex-spouse still your power of attorney? The power of attorney is the person who makes financial and legal decisions for you in the event that you’re too sick or injured to do so yourself. Your divorce might be a friendly split, but it’s doubtful that you’ll still want your ex to be your power of attorney. Worst case scenario, the divorce is nowhere near amicable, and you’ve just put a hostile party in a very powerful position that can have a lot of effects on your life. Changing your power of attorney is as easy as meeting with an estate planner, luckily. Custody arrangements are hammered out by the court, but custody of your kids can change your estate plan. You may want to start a trust for your kids or a 529 college-savings plan. If you find that arrangements for your children have altered the way in which you’re going to work them into your estate plan, you should meet with an attorney to reflect those changes. Luckily, changing your estate plan papers is easy to do and very quick. While your divorce might be dragging on and miserable, rest assured that this won’t be a painful process, and you’ll be able to easily make new arrangements and adjust others for your convenience. 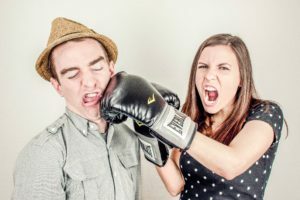 Divorce is, unfortunately, very prevalent in today’s society, and that has created a wide range of estate planning issues. Even if your split is amicable, you still want to make sure that you know what your divorce will change and how it will affect your estate plans. Consult with an attorney to make this painful process run smoothly in at least one area. New Year’s Resolutions: You Got This! Tax Code Changes—Right After Christmas!